Throughout the history of health care, doctors have attempted to convince us that we are victims to various external factors in our environment. Interestingly, these enemies of health always seem to be invisible to the eye. As early as medieval times, a patient’s health was said to be dictated by a set of humours that they were under the influence of. In the mid-19th century, Pasteur introduced germ theory, and postulated that bacteria were at the heart of most illnesses. When we became able to see bacteria under the microscope, viruses, which were much smaller, became the latest menace. As microscopy improved, viruses were also able to be viewed, and with Selye’s seminal work, stress became the major buzzword in the 1960’s. Stress was linked to almost every health challenge imaginable, a trend that continues to this day (although genes now share the stage with stress as something to blame all our troubles on). However, it is important to realize that, on his deathbed, Pasteur admitted that his rival, Bechamp, was correct in saying that disease was not due to “the seed” (the bacterium) but to “the soil” (the ability of the patient’s body to deal with the invader). 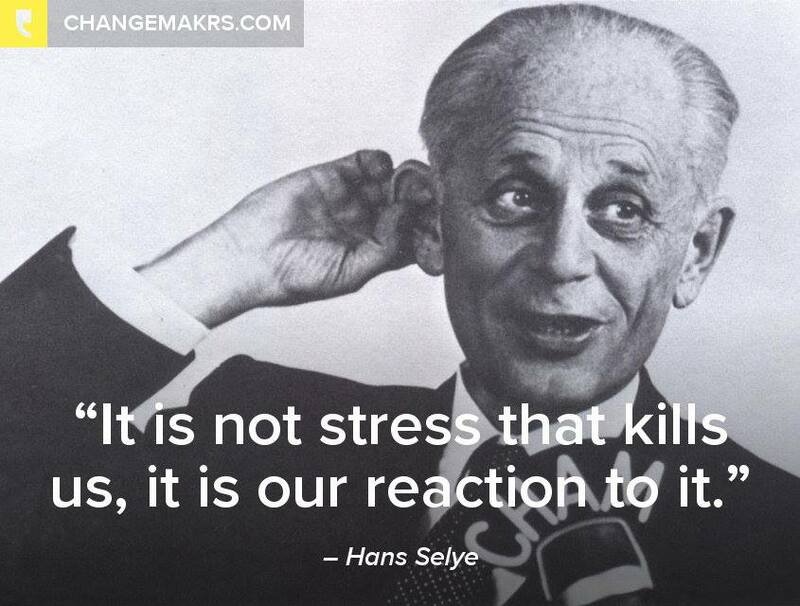 And as can be seen from the quote above, Selye felt the same way about stress.